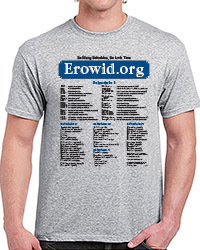 For a donation of $45+ you can receive one of our Erowid shirts as a gift. For a donation of $75+ you can receive a hoodie or womyn's camisole tank. The new "Hip Logo" t-shirt is a black t-shirt with a large Erowid black, white, & red logo on the hip/side below the arm. It is a 100% cotton (Hanes tagless) shirt. 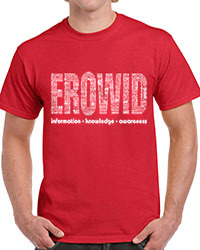 The "Words" t-shirt is a red shirts with a design made of an eclectic collection of words phrases and ideas formed in the shape of the word "EROWID". 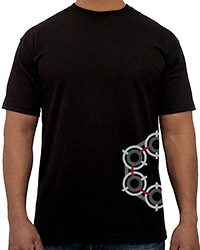 It is a 100% cotton (Gildan Ultra) shirt, sizes run slightly large. 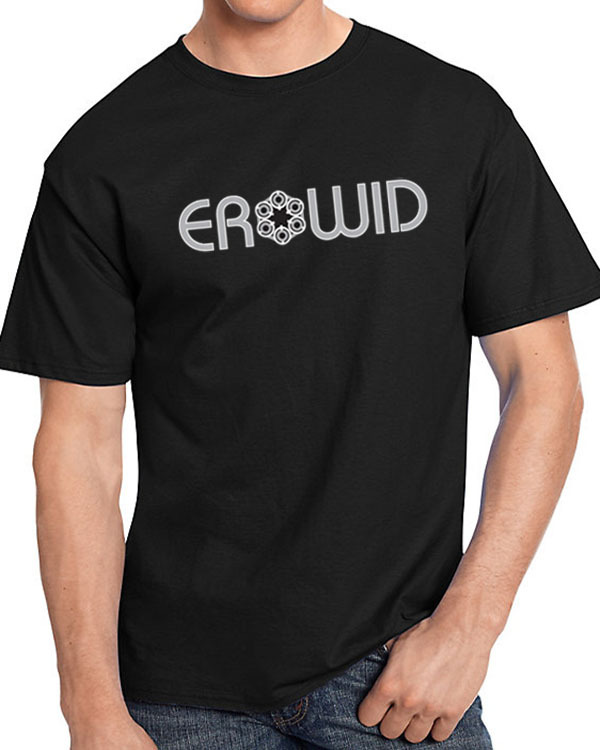 The "EroLogo" t-shirt is a black shirt displaying the word "EROWID" with the Erowid logo as the "O". The ink glows under blacklight! It is a 100% cotton shirt (Hanes tagless) (Ladies Tee: Bella B6400). Available in Unisex S - 3XL & Ladies S - 2XL. Our "EroLogo" design on a blackstrappy black womyn's camisole, with adjustable straps. A favorite of one of our board members. The ink glows under blacklight! It's a "Hanes O9342 - Women's Stretch Cotton Cami with Built-In Shelf Bra". Sizes run womyn's normal. Available in Women's S - 2XL. 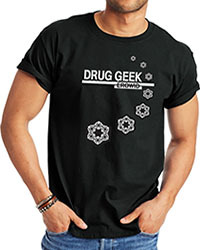 The "So Many Schedules, So Little Time" shirt has a list of the most common illegal substances in the US, by federal schedule. Currently based on 2016 laws (2012 for ladies's shirts). 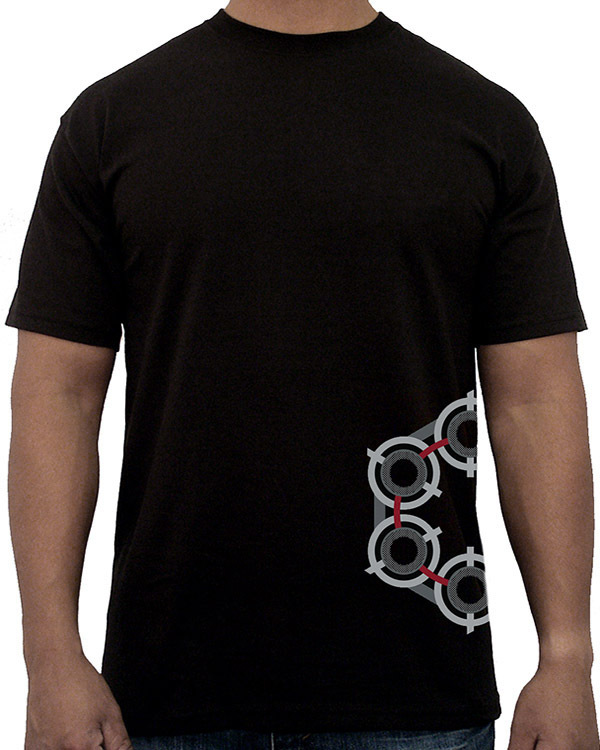 It's a soft 90% cotton shirt (Gildan Ultra), men's sizes run slightly large. 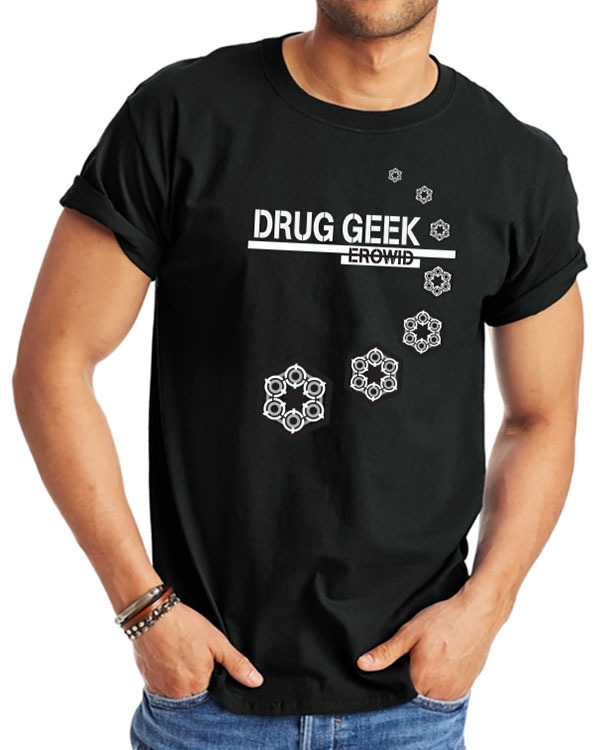 A black t-shirt displaying the words "DRUG GEEK" and "EROWID" with a swirl of Erowid logos in graduating sizes. 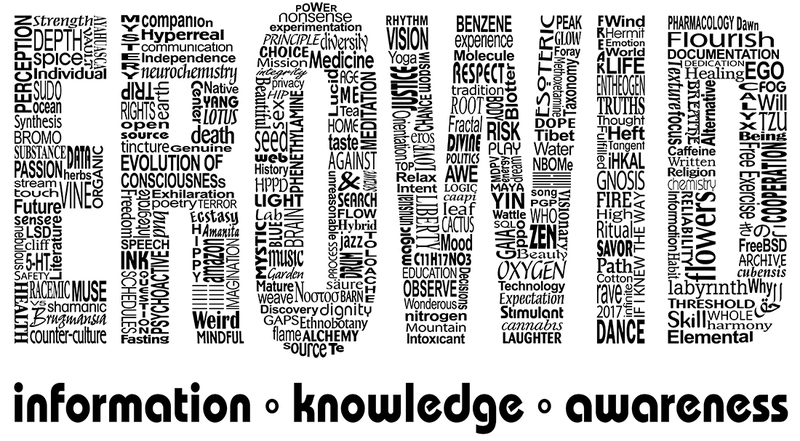 Stand out with this attention-grabbing declaration of psychoactive scholarship! 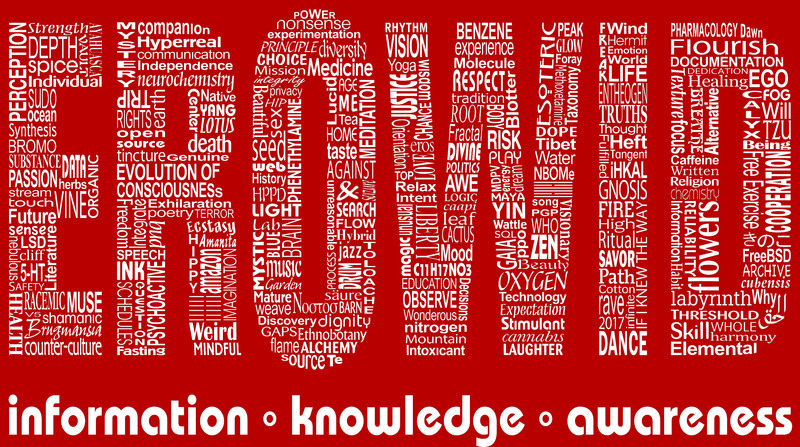 A favorite among toxicologists and students alike. The ink glows under blacklight. It is a 100% cotton (Hanes tagless) shirt. 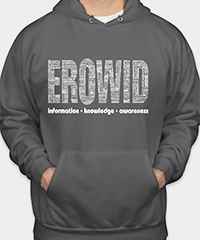 The "Words" design printed on a Hanes hoodie (EcoSmart 50/50 blend pullover) in smoke grey. Drawstring at neck, front pocket and ribbed waistband and cuffs, 7.8-ounce fleece with super soft inside.